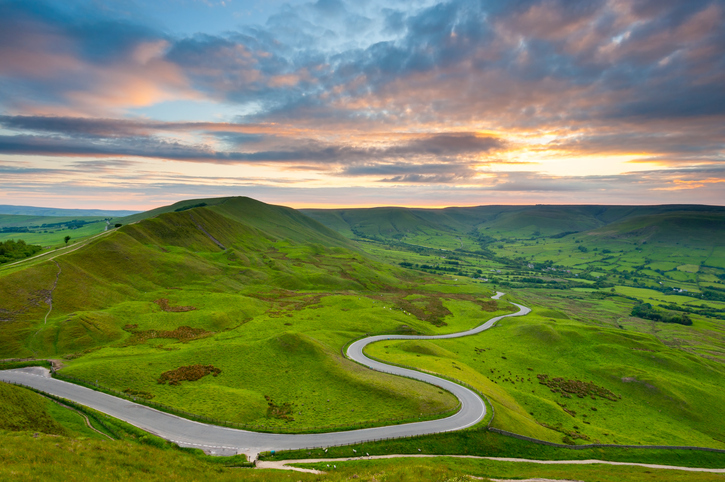 Lesley Loveless shares her winding road as a mature student of psychology. Recently I was looking through all my past assignments, trying to collate research projects and work experience to demonstrate my psychological knowledge for a Doctorate application. It made me realise not only how much work I have done over the past seven years, but also how being a mature student has impacted my life and my approach to Psychology. I have moved from one assignment to the next, one project to the next, and then one job to the next trying to better myself. It’s time to look back and appreciate how far I have come and the type of Psychologist I am developing into. I am not the normal size and shape that I see across the workforce in Assistant Psychologist posts. I am 51 and a mother of three sons, aged 25, 21 and 10. Several years ago I started to study; it began when I was divorced and living with my two older boys, then aged one and five. Instead of analysing relationships (which I didn’t feel too successful at!) I decided to analyse theories instead, especially attachment and behaviour! The world of Psychology fascinated me: looking at people, society and behaviour both objectively and subjectively became my passion. I was finding it difficult to make sense of relationships around me, and this encouraged me to change the way I was thinking. The old phrase ‘You can’t change how others think, but you can change your own perspective on others’ rang true. It was the obvious answer for a forward thinking, positive approach to life. For a good few years I was a happy single woman in my 30s enjoying having my nose stuck in a book and then observing my children and how they were developing. I began to believe in myself (a little bit) … despite having had a rubbish education, it dawned on me that I could actually write an essay! It really was a ‘Eureka’ moment for me, the beginning of my ‘fearless’ journey to educating myself. This new-born confidence led me to seek further qualifications, embark in a new relationship and have another child. I now had the psychology bug and wanted to take it as far as I could. My confidence went from strength to strength; I was able to work full-time whilst completing an Honours degree in Psychology with the Open University. This took me four years as I had a two-year-old, two teenagers and a newish marriage. I then went even further and completed a Masters in The Foundations of Clinical Psychology at age 49. My career direction had begun to change; starting as a Typesetter in the Print Industry when I was 17, then for 25 years growing towards a career in Graphic Design. But the work I am now involved in is far more interesting and meaningful than logo designs! I went from having a full-time post in Graphic Design to a part-time post (Bank) as a Psychology Team Assistant, then to being a Mental Health Support Worker, then a Research Assistant. Throughout these jobs I was an Honorary Assistant Psychologist for about two years. I also worked for Samaritans to enhance my empathy and listening skills. Working for Samaritans was an honour – being able to talk to people and be with them in times of distress was very humbling. So here I am now, aged 51, in a full-time post as an Assistant Psychologist/Parenting Practitioner post with a Masters education yearning for more learning! My approach to Psychology as a mature adult is very open minded. I feel that being a student in my 40/50’s has helped me to embrace all that I am offered. I am much more confident in ‘trying’ my best and much less worried about failing. I think when I was younger I would have been more self-conscious and self-doubting. This mature ability to take on anything that interests and stimulates my brain, in turn, has grown my confidence on a deeper level. I did have confidence when I was younger, which pushed me through that successful Graphic Design career, but at times it felt superficial. My personal life was quite bumpy, and I was not able to reflect so well. The Psychology path has helped both in a career path but also in my personal life. It helps me evaluate and stand back in relationships to see what is going on, and to react when needed. I am curious about behaviour around me now, and when my own behaviour or others causes changes in my relationships I find it fascinating to link the types of behaviour to theory that I have read. This new way of being able to reflect on my own emotions and behaviours helps me to re-engage with people. Psychology has also helped me understand the lifespan of my boys and older relatives, and how they develop. The Child Development modules in my undergrad helped me understand the behaviours of children when they are young and my youngest son has been a willing participant when I have explored Ainsworth’s ‘Strange Situation’ and Bowlby’s ‘Attachment’ theories and ideas from ‘Theory of Mind’ such as the ‘Sally Anne Test’. Studying alongside my teenagers who were both studying at various times helped me to understand the pressures they felt, and to discuss methods of exam preparation or essay writing. There have been some challenges along the way but to be honest most of the impact of learning later in life has been positive. My time for study has always felt a bit of a luxury for me, something that I enjoy, but underlying this is the sense of commitment to others’ needs in my family circle. When I was younger I would have been more self-centred because I only had myself to look after, whereas now as I am older and have a family I have other people to think about first. I have stood out at times. For example, when I went to my first lecture at the University for my Masters, the students in the corridor who were also waiting outside the class all went quiet; I think they thought I was the tutor! I often forget I am not the same age as those around me. Socially this can be a challenge, because if other students met up after class for drinks or dinner I was often unable to attend due to family or other work commitments. But because life is so busy when you are studying, working and running a family home, this helps you manage your time effectively. I really feel that this way of using your brain keeps the plasticity of it growing and growing. The only testing challenge has been with me feeling different to others, whether it is at University or in my job role as an Assistant Psychologist. But most of the time I feel about 30 anyway and I have been told I can act that way too! When you are working full-time or part-time and looking after a family, a Degree and Masters just flies by, and this year preparing for the Doctorate application for the third year running has made me appreciate the impact that studying Psychology has had and is still having on my life.